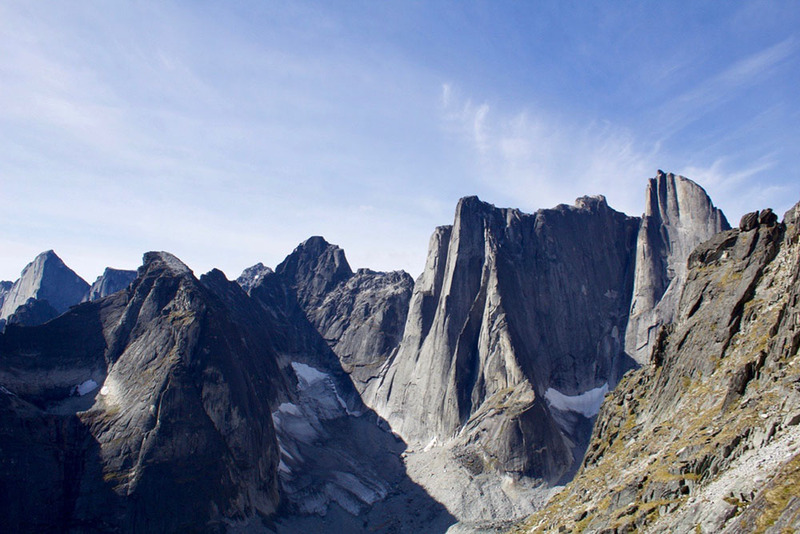 Those who have had the good fortune of experiencing the Cirque of the Unclimbables unanimously agree that it rivals the splendor of any of the highlights of the Nahanni National Park region. 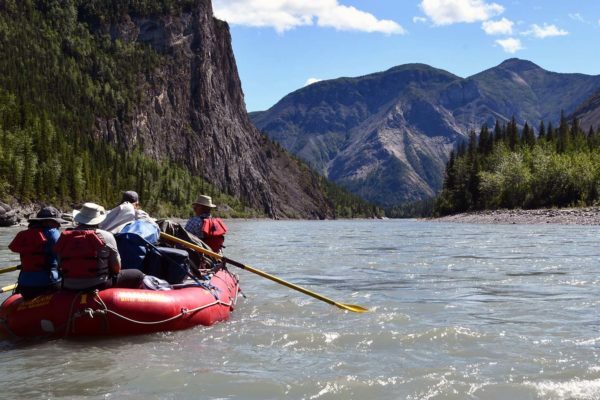 This is the world-class secret “jewel of the Nahanni” you must experience even if you’ve paddled the river! 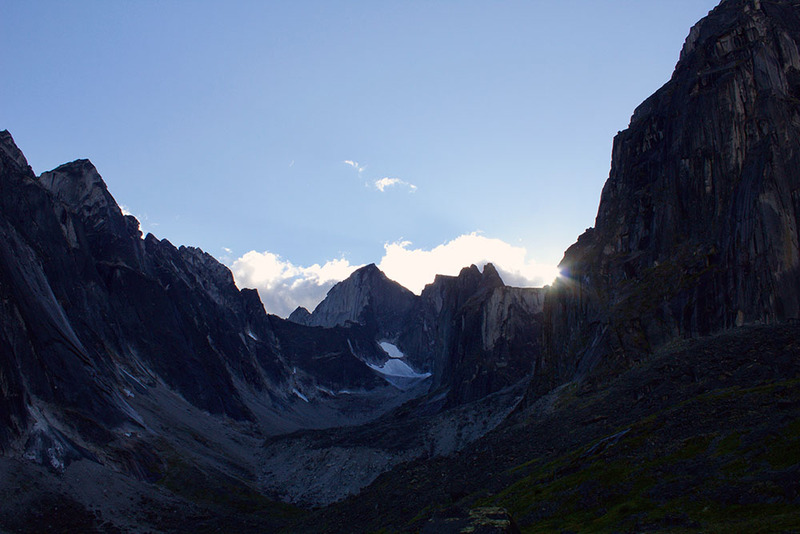 The Cirque of the Unclimbables hiking trip will dazzle you with tall granite spires surrounding a fairyland-like meadow, where mountain goats are frequently in view. Gentle trails weave among this otherwise dramatic terrain. 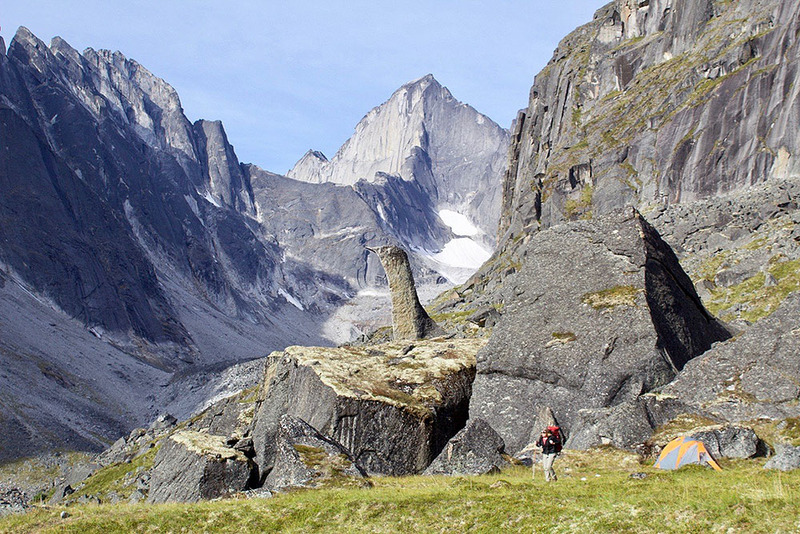 The Cirque is said to rival Patagonia and Mont Blanc – truly an alpine hiker’s delight. Those who want the benefit of the heli-hiking assist may do so, while those who wish to tackle the steep hike into the Cirque can go for it. We have designed a superb itinerary for a helicopter assisted hiking adventure. 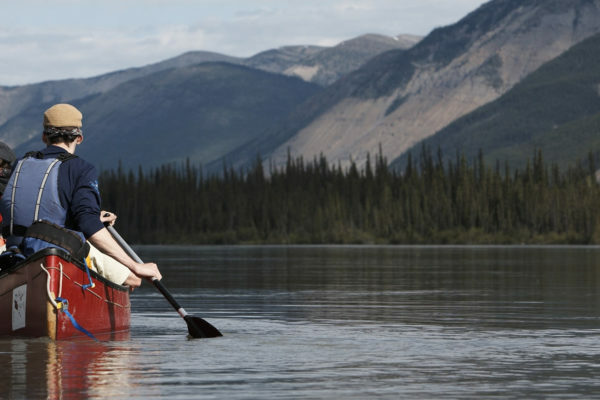 This trip makes an ideal multi-sport adventure when combined with our Nahanni River Flatwater Canoeing – 7 Days. 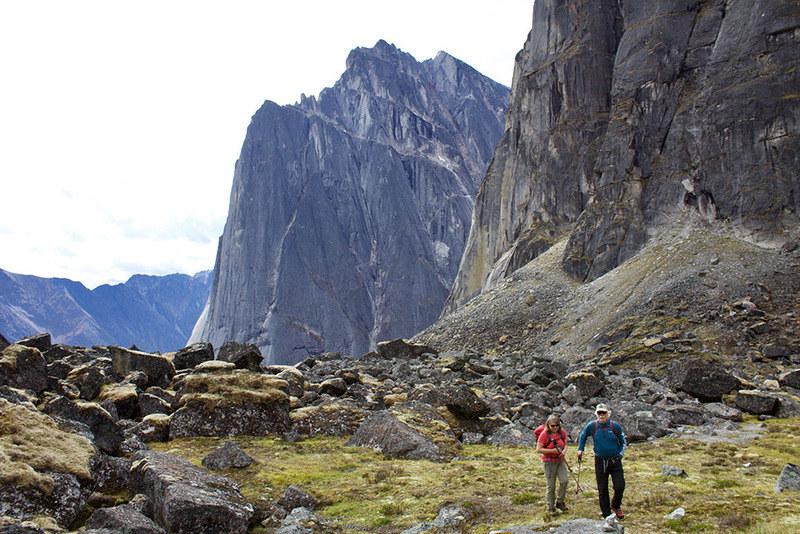 For a “grand slam,” add our one week Nahanni Canyons from Virginia Falls – 7 Days! 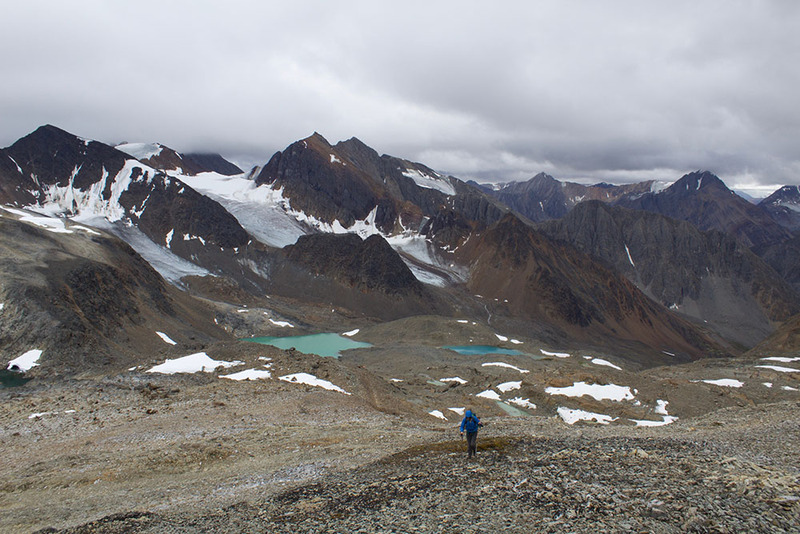 We travel from Fort Simpson to Glacier Lake by floatplane and then take a helicopter from Glacier Lake to the Cirque and spend two days hiking in the Cirque. We return by helicopter and floatplane to Fort Simpson. Prerequisites: This trip is appropriate for those comfortable with trail hiking. If unsure of your ability, please call with any questions: 1-800-297-6927 or (867)-668-3180. The following is a tentative agenda and has been designed to capitalize on the most scenic and exciting parts of the river, while making time on other sections. Your guides will adjust the schedule and itinerary to make the best use of river, weather, and other prevailing conditions. We adhere to the departure regulation system of the park, which ensures that all river travellers have the same wilderness experience. The scheduled flights arrive in Fort Simpson around midday. If you’ve notified us of your arrival time, the guides will meet you at the airport. If you’re driving to Fort Simpson, plan to arrive at South Nahanni Airways by 10 a.m. The friendly staff there will point you towards your guides. Normally, we have time at this point for a quick look at Fort Simpson and to become acquainted with fellow travellers. Once everyone has arrived there will be a pre-trip orientation and chance for questions concerning clothing, gear, packing and other details. Those requiring our river bags will have time to transfer gear from their own bags. You can leave unrequired items in our trailer. You may also want to separate river specific items to be flown in later on the transition from the lake to the river. After loading our supplies and gear into the aircraft we begin one of the major highlights of the adventure – the upriver flight. Flying over the majestic Nahanni Range and Ram Plateau, a stunning panorama unfolds in front of our eyes. Be sure to have your camera ready! 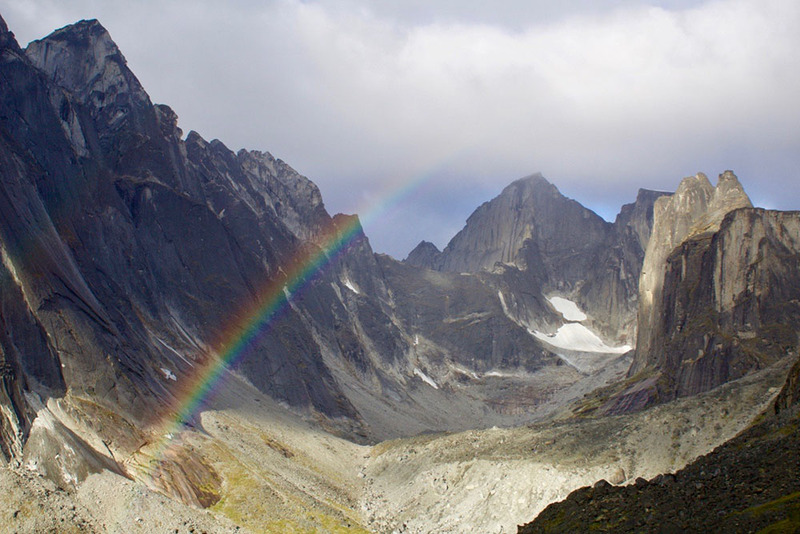 Past participants have stepped off the plane declaring that, “if the trip finished now, I would have my money’s worth!” Winging west, past Rabbitkettle Lake and the upstream boundary of Nahanni National Park, Glacier Lake in the Ragged Range is our destination. Please note that under certain conditions (weather, forest fire, plane availability and upriver conditions), it may be necessary to make our upriver flight soon after arrival. On the other hand, we’ve occasionally found ourselves waiting for safe flying conditions. In any event, we will have supper and camp in Fort Simpson or on the shores of Glacier Lake. If we’re required to overnight in Fort Simpson you’re welcome to camp with our gear or take a hotel room (at your own cost). The campsite on Glacier Lake is in full view of the granite peaks of the Ragged Range. The helicopter arrival is scheduled for the morning. Another stunning flight lifts us through the steep, rugged valley and into the panoramic splendor, past the towering face of Mount Sir James MacBrien and into the Cirque of the Unclimbables. 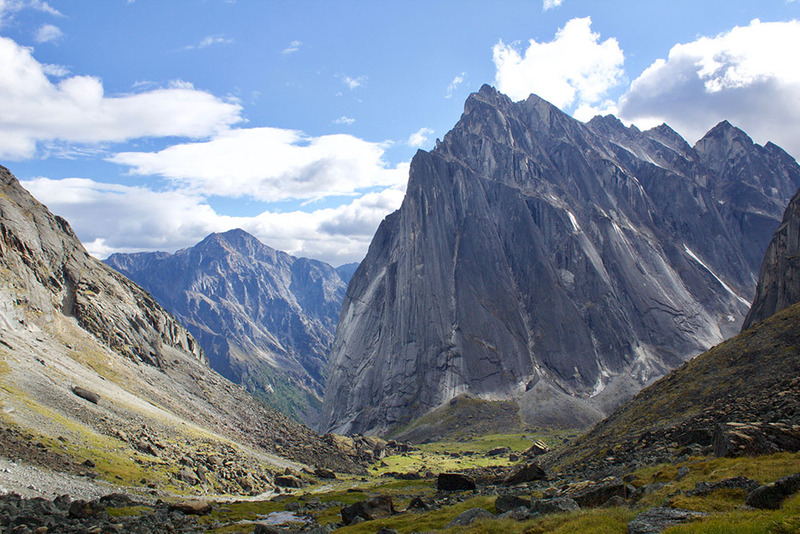 Here, in the beautiful surroundings of Fairy Meadow, among alpine creeks, water falls, a glacier, Dall sheep and Mountain goats, we’ll make our base camp and begin to explore the Cirque. With advanced notice, there may be an opportunity for very fit and experienced hikers to ascend 10 kilometres (6 miles) to the Cirque, via the valley, thick brush and boulder slopes, rendezvousing with the base camp later that day. We must emphasize that this is a challenging option with a significant elevation gain and challenging terrain with poor footing and the possibility of rock fall. 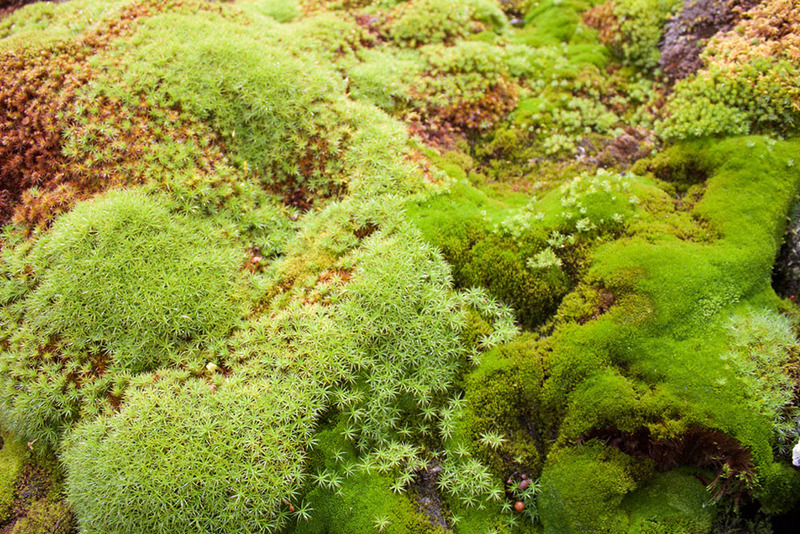 The terrain on the ascent will not accommodate infirmities. Most of our participants are well advised to utilize the helicopter option. Fortunately, the terrain in the actual cirque is much friendlier. The day will be spent exploring and photographing the Cirque and it’s dramatic spires. 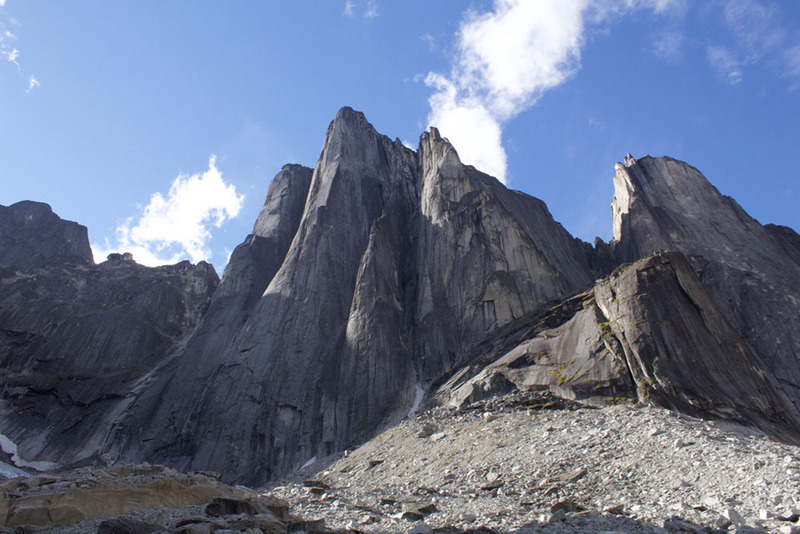 Features like Lotus Flower Tower and the towering granite walls jutting straight up from the valley floor have lured the best of climbers from around the world. 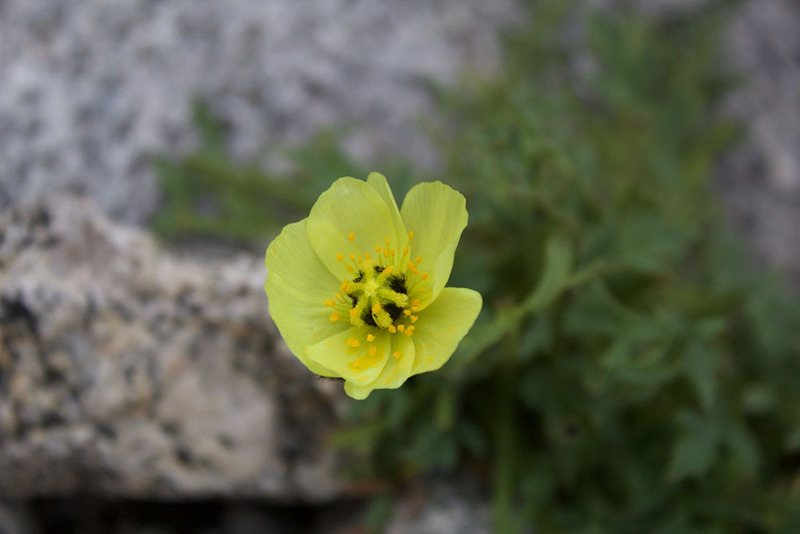 Alpine flowers, foraging grizzlies, Mountain goats, pikas and Golden Eagles are among the highlights you may experience. Under the midnight sun, we’ll have plenty of time to absorb the wonders of this area. This day will see us heading back down to Glacier Lake. Once again, the helicopter will fly us over breathtaking scenery, back to our camp at Glacier Lake (There is no hiking option for this egress). The floatplane will arrive and take us back to Fort Simpson with a load of fond memories. After a shower and dinner the evening will be spent in a local hotel (not included) reminiscing of the granite grandeur of the Cirque of the Unclimbables!